Tshering Wangdi's report on "Revolutionizing Public Service Delivery" in Bhutan Times on 18th December brought me immense happiness after having gone through a long procedure of acquiring a trade license for my brother last week. My eleven page thick application form required signature from over ten individuals from different locations and needed over six legal stamps and numerous photocopying. If it weren't for my support and diligence my brother would have given up on the idea long ago and chose to remain a jobless youth rather. We are still waiting for the committee verification, and recommendation before going to Thimphu again. 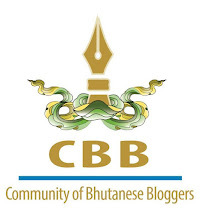 Bhutan Times' report highlighted government's move to make services easily accessible by public through Government-2-Citizen (G2C) services. Once done it promises to make acquiring services simple and effective, inexpensive, time saving, and hassle-free, thus guaranteeing costumer satisfaction. 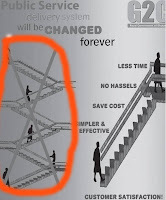 The picture illustration with the report didn't impress me much, because the current situation depicted alongside their vision didn't really tell the truth. 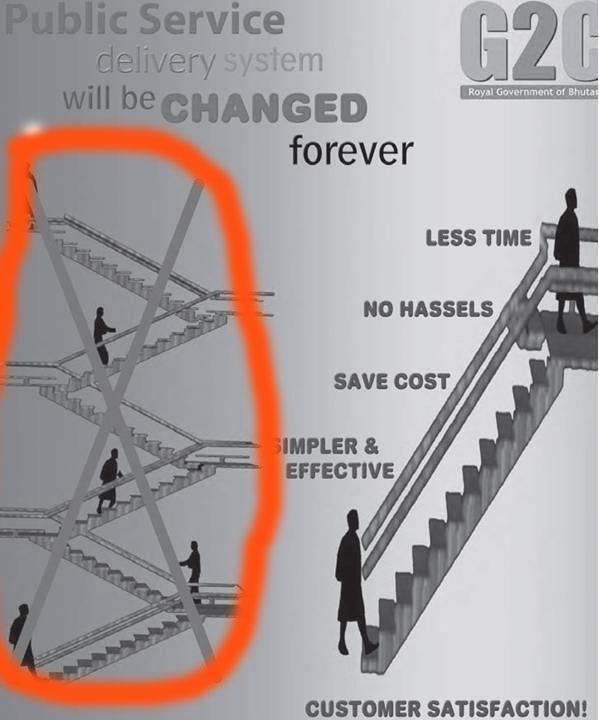 The series of ladders in the picture shows that, though time consuming, there is progress in the way services are delivered today, which we all know is not true. 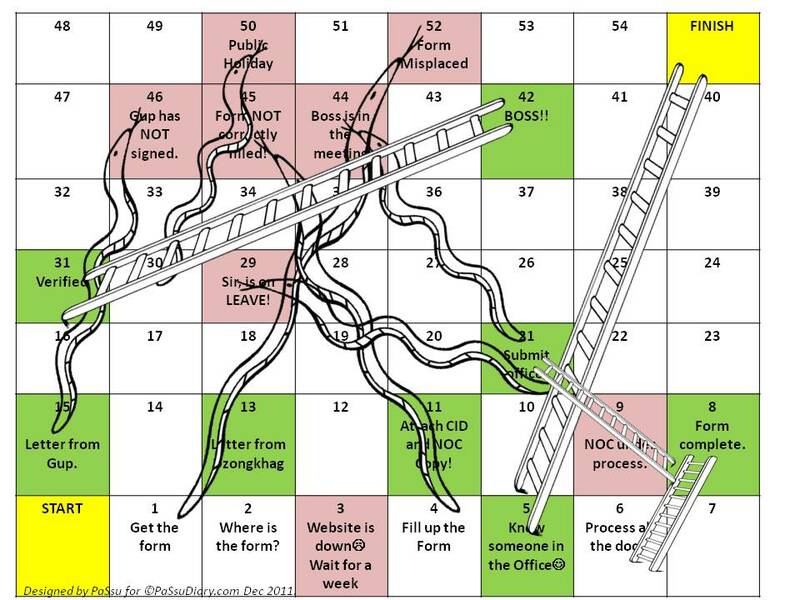 Today if you are going to Thimphu for a work you must prepare yourself like your parents prepare for pilgrim to Bodgaya, for in there we are bound to be caught in Snake & Ladder game. I have invested good amount of my time in the following model, trying to depict the way public service is in our country today. You are active and responsible Passu Sir. About the direction picture, I think the respective corporation should remake the directions and post it correctly!!! Thanks Yeesi7. I enjoy thinking hard and make it visible. i have been reading your blog since i saw your reply on Singaporean politician. and i must admit that i cant ignore your writings when i m online from that on, which i found contained maximum of your creativity in expressing truth. you are inspirational blogger for me. as of this article, i really like the modified game. honestly speaking as a normal person,going with the flow, i would try to get no.5 in my luck dice. i guess any other person will also wish the same. what say sir?? will you?? Tashi, you could use it, i will only be happier since I wish to share it.